Since the birth of the air conditioner in the beginning of the 20th Century, people have become increasingly depended on climate control. Now, summers and hot climates do not have to mean perpetual discomfort. According to Great Achievements, it was the advent of the air conditioner and the potential to make homes comfortable regardless of the outside temperature that changed the living patterns of people throughout the United States. Rather than people fleeing to the countryside every summer, people in the South began to be able to enjoy summer in the city. It even propelled more people to move to Southern and Southwestern parts of the U.S. While the air conditioner has improved people’s lives around the world, many people do not understand entirely how it works. If you’re interested in learning more about heating and cooling systems, you should consider enrolling in an HVAC training program. These parts work together in an intricate process to bring in hot air, then cool it, and release it into the room. There are many different kinds of air conditioning systems requiring various tools, but they all have the same general parts and largely work the same way, regardless of whether it is a window unit or a unit large enough to cool an entire building. According to Energy Quest by the California Energy Commission, refrigerant is a special chemical that can easily change liquid to a gas (and vice-versa). This chemical will collect heat from inside a house and then expel the heat to the outside of the house. The process works because the refrigerant has a very low boiling point. This allows it to pick up the heat and turn into a gas. The refrigerant is the chemical that enables the entire air conditioning system to work in the first place. The path of the refrigerant begins as a cold liquid within the evaporator coil. A fan blows the warm air across the evaporator coils. The refrigerant inside the coils absorbs the heat and turns into vapor. As a result, the air went from being warmer to colder. The vaporized refrigerant then enters the compressor as a low-pressure, warm gas. The compressor squeezes the vapor, so that it emerges as a high-pressure, hot gas. From the compressor, the gas moves on to the condenser. Both compressor and condenser are typically located outside. The high-pressure, hot gas flows through the condenser, which turns it back into its liquid state as heat is radiated away. It is cooled down by air flowing across the condenser coil, turning the refrigerant into a high-pressure, cool liquid now. From the condenser, the refrigerant moves into the expansion valve through a very small opening, forcing it to expand on the other side and become a low-pressure, cold liquid mist. Now a significantly cooler chemical, the refrigerant moves to the evaporator coil. The warm air from inside passes over the evaporator coils once again, heating the refrigerant, and the cycle begins once again. 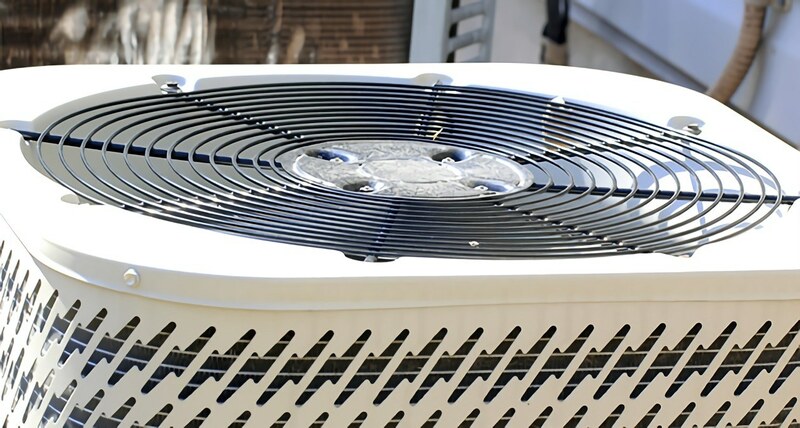 Air conditioners are technological triumphs that have made it possible for people to live comfortably in climates where they were previously overheated. Understanding how the system works can increase people’s respect for the invention and prepare those considering entering fields that regularly handle air conditioning units. The next time the air conditioning turns on, consider the many-step process that is taking place to make the home or building comfortable for everyone.